A Texas scientist claims to have sequenced the DNA of Sasquatch, a creature whose very existence is mysterious to many and purely mythological to most. "Our study has sequenced 20 whole mitochondrial genomes and utilized next generation sequencing to obtain 3 whole nuclear genomes from purported Sasquatch samples," Dr. Melba S. Ketchum of Nacogdoches, Texas, says in a news release. "The genome sequencing shows that Sasquatch mtDNA is identical to modern Homo sapiens, but Sasquatch nuDNA is a novel, unknown hominin related to Homo sapiens and other primate species." Ketchum writes that her team's research indicates the "North American Sasquatch" is a hybrid of a female Homo sapien and a male of "unknown hominin species," whose DNA matched approximately 15,000 years ago. Sasquatch, more commonly known as Bigfoot, has been a staple of American mythology for hundreds of years. The modern Sasquatch theories took on a newfound prominence in 1958 when the first official Bigfoot search party was launched in California. 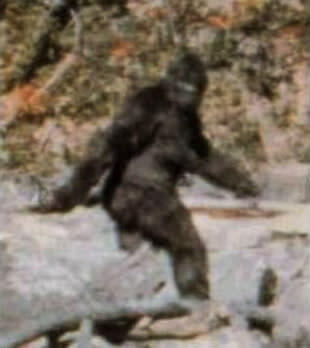 Most members of the scientific community have discounted the Sasquatch theory. However, in a Sept. 27, 2002, interview with National Public Radio, Jane Goodall appeared open to the concept, saying, "Maybe they don't exist, but I want them to." So, how do Ketchum's claims hold up under scrutiny? The Houston Chronicle's Eric Berger does some unraveling of Ketchum and the claims she made in the news release. For starters, Berger notes that while Ketchum has 27 years of genetic research experience during her career as a veterinarian, her company, DNA Diagnostics, has received an "F" rating from the Better Business Bureau. But more important, Ketchum has not allowed scientific peer review of her findings. "That is a massive red flag. Real research scientists almost never preannounce their research findings," Berger writes. "In effect she is using the mantle of science to confer credibility on her discovery, without actually deserving the credibility." And finally, where exactly did Ketchum get her DNA sample? After all, if she was working from a reliable source, that alone might be the real story because no physical evidence of Bigfoot exists on record. As it turns out, Ketchum says her DNA sample was obtained from a blueberry bagel left in the backyard of a Michigan home that, according to the owner, sees regular visits from Sasquatch creatures. In other words, it seems likely that the legend of Bigfoot will remain more myth than reality for the foreseeable future.